Top Five Reasons to Visit the Guru Booth at AZA 2017! Top Five Reasons to Visit Guru's Booth in Indianapolis! 1.Try our new app for the Living Desert Zoo and Gardens! Want to decrease your visitor acquisition cost, increase your ticket sales, and enhance visitor learning at the same time? 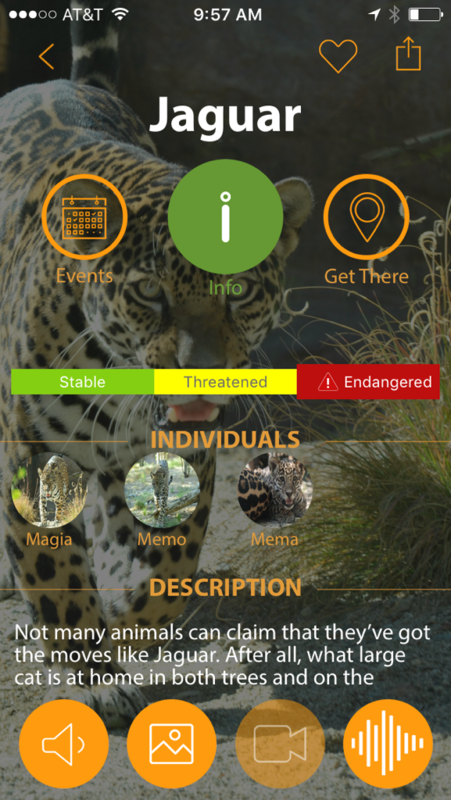 Our new app for the Living Desert Zoo and Gardens is designed to support zoos–helping zoos spend less on marketing and learn more about their visitors’ needs–and connect with visitors all at once. 2.Sick of wasting paper? Check out our new interactive geo-maps. Visitors won’t get lost anymore when they have a location-aware map at their fingertips. 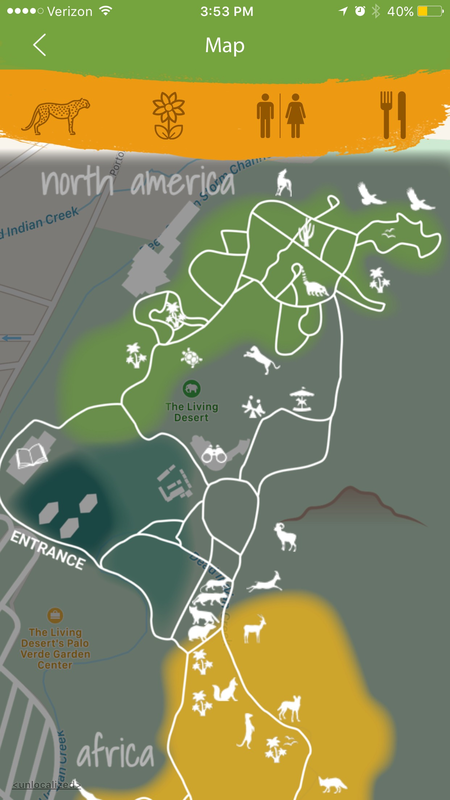 The Living Desert app’s map shows visitors exactly where they are. Save trees and help visitors get around with ease! 3.See how augmented reality can enhance learning. Heard all the hype about AR and think it’s just a passing tech craze? Put it to the test! Come see for yourself how this new tech medium can be used to deepen learning and enhance peoples’ appreciation for the natural world around them. Sometimes people need to see and experience to truly learn. For example, how big is a giraffe’s heart? Visitors see the answer spring to life in the form of a 3D heart as big as a basketball. 4.Conservation in action. Speaking of hearts, we use the app to tell stories’ about animals, creating a connection between animals and visitors, and connecting that to action. Our Adopt-An-Animal feature allows visitors to donate to conservation efforts for their favorite animals! 5.Free augmented reality stickers for giraffe conservation! Everyone likes free stuff. But this isn’t any old sticker. This is an interactive sticker that connects learning to action. Visitors reveal the answer to a question in 3D and are directed to donate to giraffe conservation efforts. Now that’s a sticker! HEAR IT FROM THE ZOO! The Living Desert Zoo and Garden’s Director of Park Services, Dawn Petrick, will be participating in the roundtable session The Do’s and Don’ts of Creating a Mobile App: Lessons Learned and Success Stories on Monday from 12-2pm in Exhibit Hall D. Guru CEO Paul Burke will be available afterward to answer any questions you might have!